When big projects require speed, accuracy, and superior equipment, RIDGID 48250 RH High Speed Bolt Dies are the tools you need to get the job done. This strong die bolt is built to last, delivering clean, precise threads and supporting a longer running, more efficient threading process. It’s the ideal choice for cutting consistently clean, accurate right-hand threads of 10 TPI for machine bolt rods that measure up to 3/4 inch (18 mm) in diameter. This hardwearing die bolt is specifically designed for use with high-speed threaders, including the RIDGID 1215, 1224 and 300 Compact, and is compatible with the RIDGID line of Universal Die Heads (504A, 711, 811A, 815A, 816, 817 and 911). 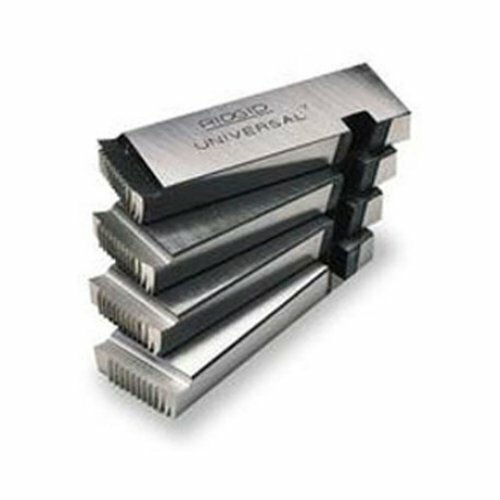 This bolt die set is manufactured in accordance with Unified National Coarse Standards. RIDGID covers its products with a lifetime warranty against defects in material or workmanship for the life of the tool. Since 1923, RIDGID has remained the symbol of certainty to dedicated professionals of the expert trades. Every tool that bears the RIDGID brand is engineered to the same high standards of quality, strength and endurance, as was that first heavy-duty pipe wrench more than 80 years ago. The RIDGID 48245 RH High-Speed Bolt Die is an excellent addition to your tool kit when you need to quickly and accurately thread machine bolts. This strong bolt die is built to last, supporting a longer running time and more efficient threading process. It’s the ideal choice for cutting consistently clean, precise right-hand threads of 11 TPI for machine bolt rods that measure up to 5/8 inches (15 mm) in diameter. This hardwearing bolt thread die is specifically designed for use with high-speed threaders, including the RIDGID 1215, 1224 and 300 Compact, and is compatible with the RIDGID line of Universal Die Heads (504A, 711, 811A, 815A, 816, 817 and 911). This die bolt is manufactured in accordance with Unified National Coarse Standards. RIDGID covers its products with a lifetime warranty against defects in material or workmanship for the life of the tool. Since 1923, RIDGID has remained the symbol of certainty to dedicated professionals of the expert trades. Every tool that bears the RIDGID brand is engineered to the same high standards of quality, strength and endurance, as was that first heavy-duty pipe wrench more than 80 years ago. Designed with the professional in mind, the RIDGID 48235 RH High Speed Bolt Die is the ultimate tool for quickly and precisely threading machine bolts. This strong die bolt is built to last, supporting a longer running, more efficient threading process. It’s the ideal choice for cutting consistently clean, accurate right-hand threads of 13 TPI for machine bolt rods that measure up to 1/2 inch (12 mm) in diameter. 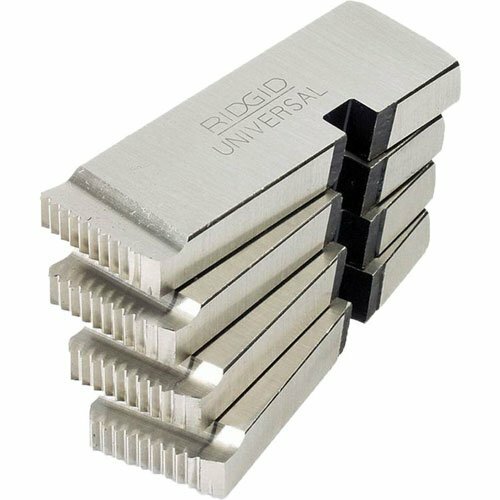 This hardwearing die bolt is specifically designed for use with high-speed threaders, including the RIDGID 1215, 1224 and 300 Compact, and is compatible with the RIDGID line of Universal Die Heads (504A, 711, 811A, 815A, 816, 817 and 911). This die bolt is manufactured in accordance with Unified National Coarse Standards. RIDGID covers its products with a lifetime warranty against defects in material or workmanship for the life of the tool. Since 1923, RIDGID has remained the symbol of certainty to dedicated professionals of the expert trades. Every tool that bears the RIDGID brand is engineered to the same high standards of quality, strength and endurance, as was that first heavy-duty pipe wrench more than 80 years ago. Why do so many professionals choose RIDGID tools? The answer is simple…trust. Millions of RIDGID tools go to work every day in plants, on construction sites, and in countless other harsh environments. These tools operate in extremes of heat and cold, withstand dirt and mud, and perform reliably day in and day out. RIDGID tools are known the world over as industry-leading products that allow professionals like you to complete jobs more quickly and reliably. 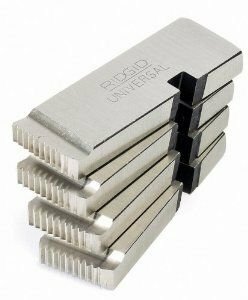 RIDGID 47765 includes: High-Speed R.H. NPT dies for universal pipe threading machine Die Head Nos. 504A, 711, 713, 811A, 815A, 816, 817 and 842. Die has a capacity of 1/2 to 3/4-inches. RIDGID pipe dies deliver superior threading performance and capabilities, featuring durable construction to provide long service life and dependable performance. RIDGID covers its products with a lifetime warranty against defects in material or workmanship for the life of the tool. Since 1923, RIDGID has remained the symbol of certainty to dedicated professionals of the expert trades. Every tool that bears the RIDGID brand is engineered to the same high standards of quality, strength, and endurance, as was that first heavy-duty pipe wrench more than 80 years ago. 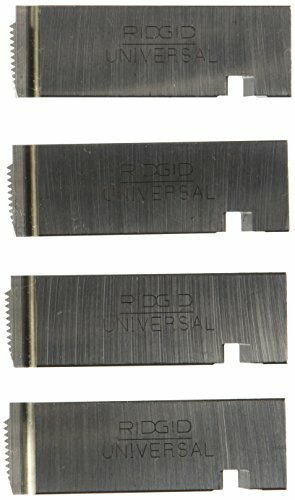 37400 Diehead, Cmpl 12R 1" Npt. This item is used for Handtools & Tool Organizers ,Multitools. This product manufacture by United States. 37390 Diehead, Cmpl 12R 1/2 Npt. This item is used for Handtools & Tool Organizers ,Multitools. This product manufacture by United States. 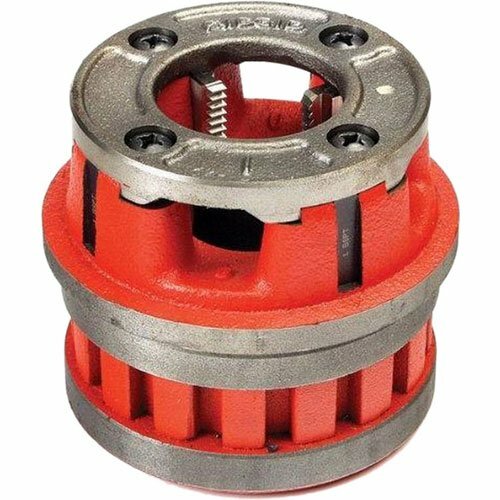 RIDGID 500B BOLT DIE HEAD 1/4"-1"
Want more Ridgid Bolt Dies Die similar ideas? Try to explore these searches: Boys Youth Snowboard Boot, 2 Qt Water Filter Pitcher, and Novarossi Ceramic Bearings.